Academic honesty is a prerequisite for any student and scientist. Recent scandals in Germany (plagiarism accusations against ex-ministers zu Guttenberg and Schavan) and in many other countries worldwide show there is a gap about what students think is allowed and required for research, mainly due to a lack of or misinformation within the scientific community. The founder of “Zitier-Weise” is Natascha Miljković, a fomer Natural Sciences student (MSc and PhD) at the University of Vienna, Austria. She worked as Programm Manager for various universities and programms for 10 years. In 2012 she founded the agency “Zitier-Weise” after having implemented plagiarism detection for a Medical School sucessfully. The team is completed by an external co-worker, Petra Öllinger, an experienced writing psychologist and lector/ editor. authors, (copy-)writers and advertising agencies improving and protecting their publications and website texts. What else are we providing? Besides the plagiarism expertise we hold talks, seminars and workshops for students and scientists. Our goal is for participants to become experienced writing texts and using citation, get a head start on the hot topic plagiarism and be well informed not to head into unintended copyright infringements. Also, a full editing service can be ordered from Petra Öllinger (in German only, upon request). your file mustn’t be protected by write lock. After a pre-check you will get a written approval of your request or (for scientists and institutions) a preliminary cost estimate. By placing your order with the agency “Zitier-Weise” you accept the terms and conditions for these services as published on their website (in German!). 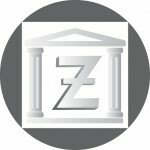 How to contact the Agency “Zitier-Weise”? of your theses and texts!